Eighty-eight percent of Louisiana residents get their water from public systems. And more and more of those public water utilities are on the edge of failure. Also, the New Orleans City Council is poised to revisit its 2018 vote approving Entergy New Orleans’ proposed $211 million gas power plant in eastern New Orleans. And education reporter Marta Jewson discusses this week’s contentious Orleans Parish School Board meeting. Edgar Harney elementary school students returned to school last week, after an extra-long winter break so the Orleans Parish district could take direct control of the former charter school. Opinion writer John Sullivan talks us through a “golden opportunity” for affordable housing coming before the City Council. 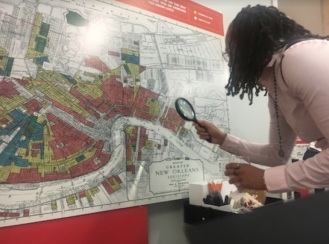 “The New Orleans City Council is poised to take action on two housing policies that have major implications for New Orleans’ neighborhoods.